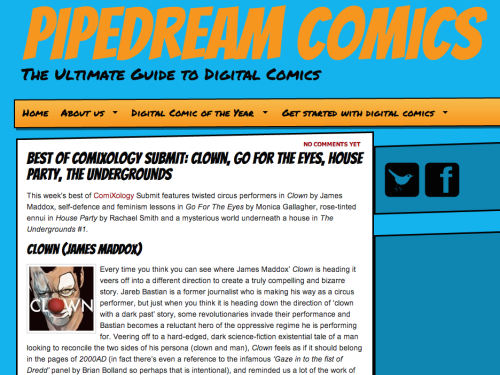 My one-shot comic “Clown” continues to gain momentum! Proclaiming it the Best of ComiXology Submit for this week, this review from the UK’s Pipedream Comics had some great things to say about the story. Check it out HERE!